Many people assume that any medical office uses equipment that does not carry the potential for contamination and illness. However, if your dental office does not use disposable bibs and bib holders, you may potentially be exposed to infectious bacteria. One recent study found that more than half of reusable bib holders had bacteria present, including streptococci and staphylococci. Another danger can be found in the dental equipment commonly found in many dental offices. 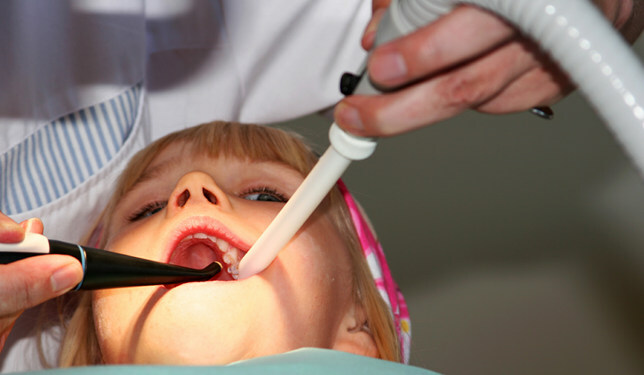 The suction machine that is used to remove excess liquid from your mouth can also be contaminated with bacteria. Although your dental office may use disposable attachments to put directly into your mouth, the filters within the equipment may be contaminated with staph and strep bacteria, among other things. Dentures have also been found to be contaminated with MRSA staph bacteria. MRSA is a form of staph that is resistant to antibiotics and can be extremely difficult to treat. If dentures are contaminated with this infectious agent, the germs can be inhaled, potentially causing pneumonia. Traditionally, dental offices used disinfectant agents to neutralize and remove infectious bacteria. However, more recent studies have found that autoclave disinfectant measures are the best possible approach to dealing with potential cross contamination issues. Before going you to your dental office for your next visit, ask about how they prevent infections. Find out if they use disposable equipment where possible and how they clean non-disposable equipment.